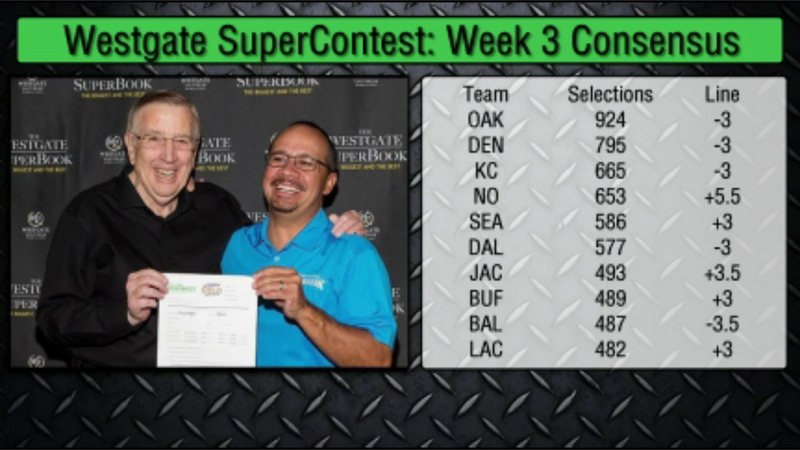 LAS VEGAS – The SuperContest lines for Week 3 presented a difficult challenge for those of us competing for the $1.3 million dollar first place prize. There were 10 games that the Westgate set the line where the underdog was getting fewer than four points. Listen to Episode 3 of the Fade or Follow Podcast with Matt Perrault and Vegas Matty of www.FootballContest.com and be sure to subscribe to the podcast on iTunes so you never miss an episode!